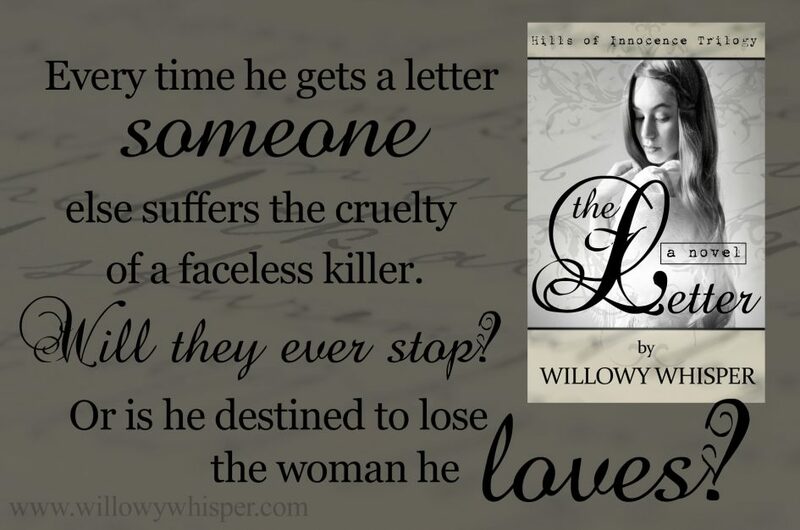 I am so excited to tell you that my newest novel, The Letter (Hills of Innocence Trilogy #2), is finally finished! First it was just a letter, maybe a joke, a coincidence. Now it was more than that. Now it was a living nightmare, threatening everyone he loved, pulling his greatest fear into a reality . . .
A drunk, with no incentive to change; a runaway, with a price on his back; a young child, afraid in the dark . . . So there’s good news and bad news. I won’t ask which you want first, because everyone always wants the bad news first. Here goes . . . The Letter is not available in print as of yet (although it will be soon), and I have not updated my novel’s page. I’ll be doing that soon, but I just thought I’d let you know, in case you started to look for it there in the next couple of days. So here’s the good news . 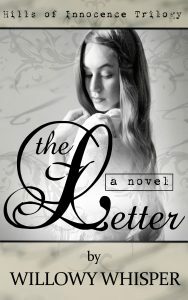 . .
You can purchase The Letter on Amazon Kindle for $2.99! Click here. Also, if you have a blog of your own, you can participate in my upcoming blog tour. If you’re interested, follow this link and I’ll get back to you as quickly as possible.